BigCityLib Strikes Back: Mike Godwin (of Godwin's Law) Give's Trudeau Speech Thumbs Up! 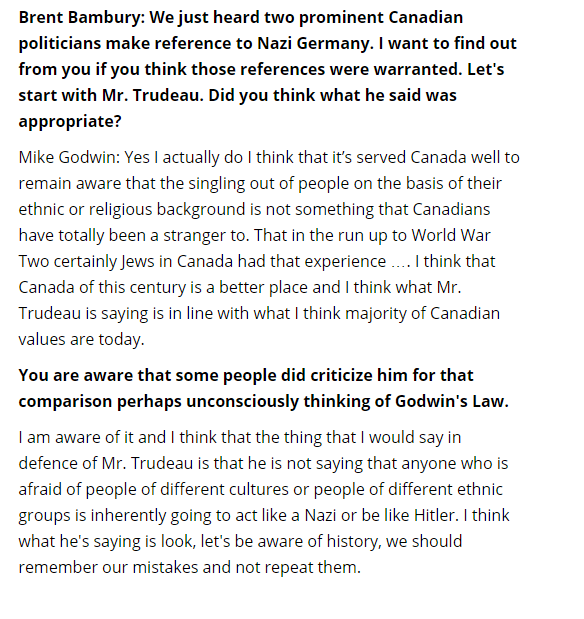 Mike Godwin (of Godwin's Law) Give's Trudeau Speech Thumbs Up! He didn't like Blaney's response quite so much. Read that bit here.